WATCO's Autauga Northern heads down the branch after making a setout and pickup at the Norfolk Southern interchange in Mapleville, AL. 6/5/2013, 1:04 PM, MP 161.0. Motors are GP39-2s 3909, 3900 & 3908. The branch was originally the Mobile & Gulf RR, then the Gulf, Mobile & Ohio before becoming an Illinois Central Gulf property. Norfolk Southern acquired the line and leased it to WATCO in April 2011. 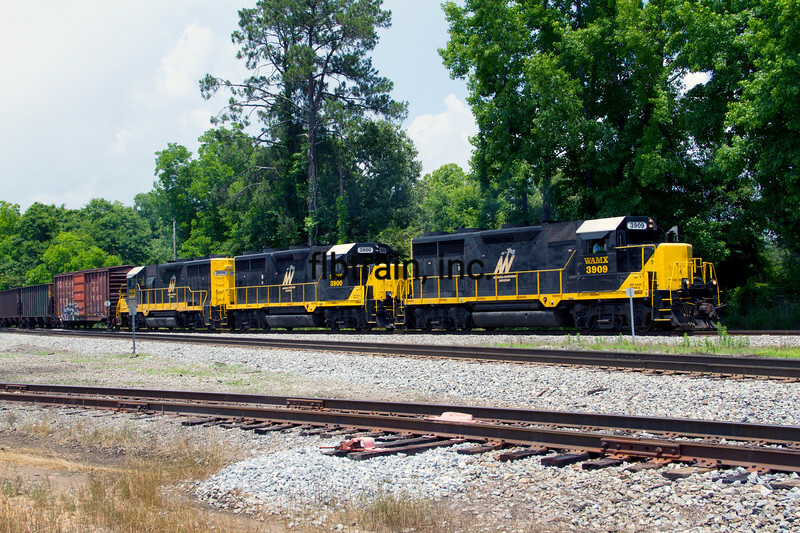 WATCO servies a large International Paper Mill at Prattville, AL and also has CSX trackage rigths to access Montgomery. Currently the line averages about 9,600 car loads annually.